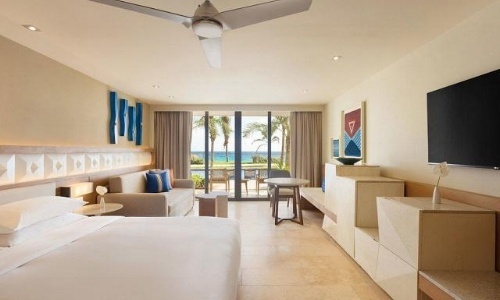 Hyatt Ziva Cancún has 547 luxury suites with contemporary Caribbean decor, furniture crafted by craftsmen and picturesque views of the turquoise sea. All suites include spa-like bathrooms with rain showers, bedding service, high-tech entertainment and a courtesy bar. In addition to a beautiful ocean view on a furnished balcony. Since your check-in, you get private access to the pool and one-bedroom suites with luxurious beds and Egyptian cotton sheets. If you ask for room service, you can try an exquisite eclectic cuisine. The Club Tower has exclusive access to the private lounge, where the best complimentary drinks and snacks are served. 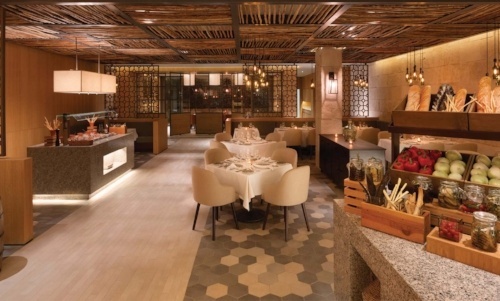 The gastronomic offer of Hyatt Ziva is of a total of 17 bars and restaurants, with styles for all tastes. The buffet is ideal for breakfast. On the other hand, it has Lorenzo's, a restaurant that stands out for its Italian food. Every spot is surrounded by the ocean. The beach is warm and you can enjoy its spectacular color by walking in one of the docks around it. But, if you're looking to relax to the fullest, inside the hotel you can find the Zen Spa. If you come with children, you have the option of going to the Kids Club, a spot designed for children from 4 - 12 years old. But if you need quiet and peace, or to go out with your significant other, it is also possible to hire a nanny for $ 35 USD ($ 15 an hour + 20 transportation). If you want to venture into a swim with dolphins, inside the facilities there is an exclusive habitat where you can swim with your partner, with your friends or with your children. 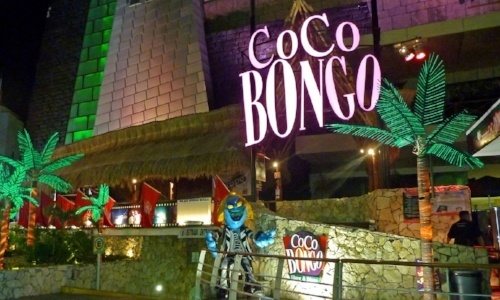 If the nightlife is your thing, places like Cuncrawl, Coco Bongo and Mandala Cancún are at your disposal. A little over half a mile from Hyatt Ziva, is Playa Caracol and Mandala Beach. A little further away, you will find Playa Gaviota Azul. If you like flea markets, half a mile from the hotel is the Black Coral market. 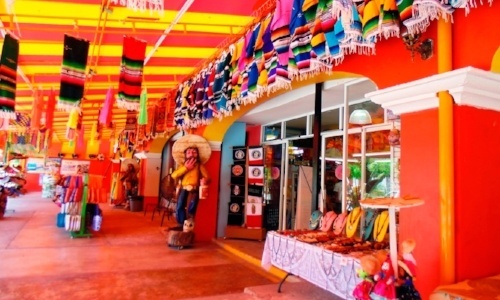 If you prefer malls, less than half a mile you will find Plaza Caracol. 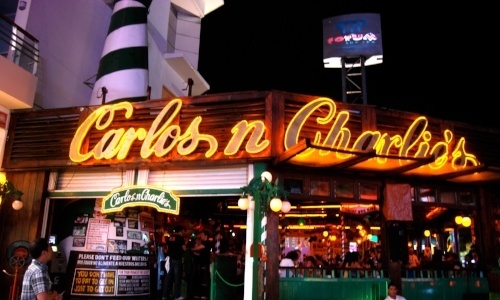 Less than half a mile away, you can find the Congo Bar Cancún and Carlos n 'Charlie's. Spending a vacation at Hyatt Ziva will always be fun. This place is not necessarily for those looking to rest on their days off in the Mexican Caribbean. So, enjoy while you're here. 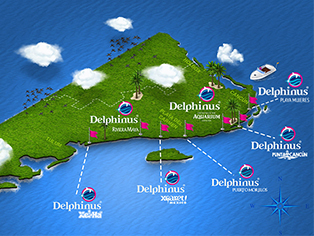 In Delphinus we want you to spend a year-end full of adventure and party. 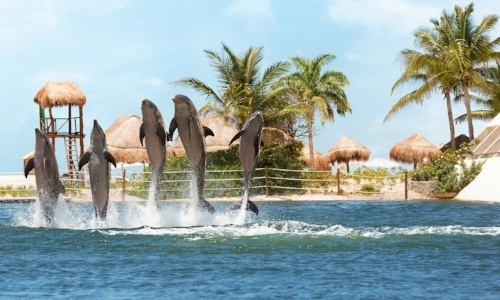 Reserve your swim with dolphins with us and give that final touch to an incredible vacation.